Forget the vacation, ditch the staycation, the hottest new trend is the weigh-cation! A body boosting holiday at Fitfarms – voted number one by the Sunday Times and featured on the BBC - is the perfect way to take a break, get fit and look fabulous. Worlds apart from traditional military-style boot camps, Fitfarms has created an intensive and informative weight-loss programme for women. “We focus on nutrition, physiology, psychology and alternative exercises such as tai chi and Indian head massage” says Julie Brealy, Fitfarm ‘s health manager. Here a dedicated team of health and nutrition experts will show you how to make the changes in your lifestyle to get trim for good. There are two Fitfarms camps based in the Peak District and Exmoor , where you can enjoy the scenic surroundings while hiking, cycling and jogging. 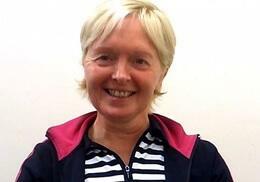 As well as exercise classes, there are also psychotherapy sessions and nutrition workshops to complete, run by the former Daily Telegraph nutritional therapist Julia Fitzgerald. Julia works closely with Mikael, the Fitfarms chef, to create delicious menus, which will inspire you to continue eating healthy when you get home. Would you like to kick-start a new, healthy lifestyle? You can try a whole host of exercises during a stay at the camp. There are a range of activities on offer, from hiking and line dancing to circuit training and tai chi. So it is the perfect place to find the best work out routine for you, and one that you can keep up when you get home. The normal cost for a week’s stay is £1,495 a single room and £995 for a twin room. The average weight loss during a seven-day Fitfarms retreat is an impressive 8lbs 3oz, but the record stands at a whopping 19lb 7oz! Courses run throughout the year. 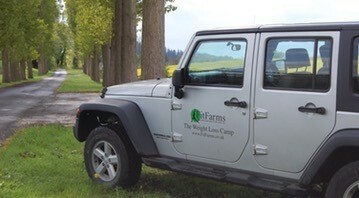 For more information visit fitfarms.co.uk or telephone 0800 643 3070.